Lillian loves zines! She publishes two personal zines annually, online and via the mail, as part of her Quantified Self tracking. You can view the most recent zine online here. It is sold out in print form. The next issue comes out July 2018. 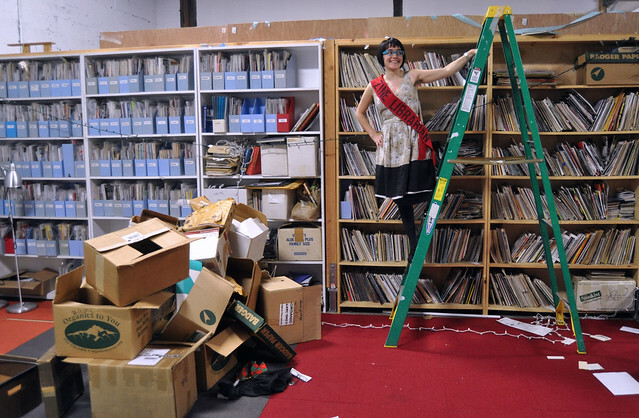 She founded the now-defunct Queen City Zine Library in Cincinnati, OH in the early 2000’s. 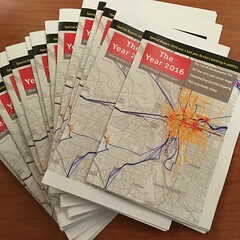 Later, after moving to Portland to chase her dreams of zines & bicycles, she spent five years as an open-hours staff at the Independent Publishing Resource Center and comics outreach volunteer with homeless and transitional youth at P:EAR, she became the IPRC’s Zine Librarian – and was in that role for 3.5 years. During her time as Zine Librarian, she implemented an open-source Koha library database, created a gamified platform to inspire volunteers into original cataloguing called “Raiders of the Lost Archives” (which was then adapted and implemented in other zine libraries) – and perhaps most crazily, lead a 24-hour international zine cataloguing event each year. Lillian made her perzine Nebulous for seven years with a penchant for ridiculous bindings, half-issues, and long hiatuses. It evolved from teenage stories of cute girls and cigarettes to very mature love tales of bicycles.